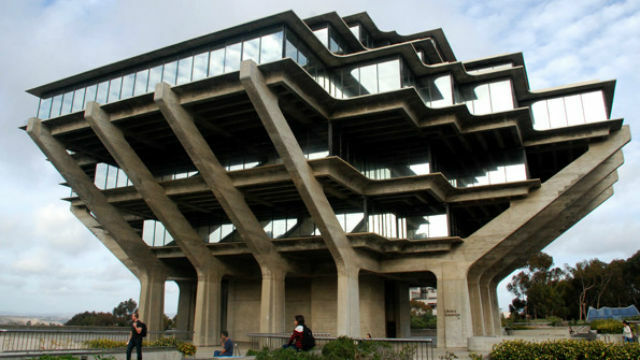 UC San Diego campus police are investigating generalized threats of violence written on restroom doors in the Geisel Library, the university announced Monday. UCSD police began investigating the threats Sunday evening and continued to do so Monday. The non-specific threats were scrawled on the inside of three women’s restroom doors in the library, according to UCSD. UCSD plans to continue with its ongoing finals week schedule while the investigation continues, albeit with an increased police presence on campus. Students and residents can contact campus police at (858) 534-4357, or detective@ucsd.edu, to report any information they may have about the threats.